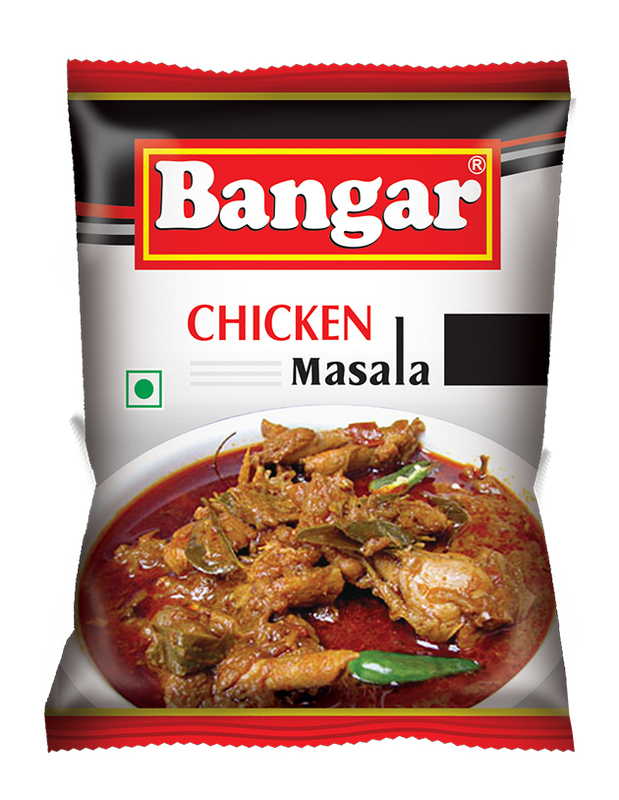 Bangar Chicken Masala is a perfect & Exotic blend of different rich spices for preparing chicken dishes. This perfect blend gives equal importance to both the spices and other ingredients in the dish. USAGE : Used for preparing Chicken dishes. Since it contains only spices it can also be used in vegetarian dishes too. Try it in Bhindi fry or Kaarela & you will love it. Ingredients : Coriander,Chilli, Cumin,Asafoetida,Bengal Gram, Black Pepper, Cardamom,Black Cardamom, Cassia Leaf, Clove, Dry Ginger,Garlic, Fenugreek, Kasuri methi, Turmeric, Poppy Seed, Mace, Nutmeg & Common Salt.